The Decision Tree is one of the most popular classification algorithms in current use in Data Mining and Machine Learning. Simply put, a Decision Tree is a graph that uses a branching method to illustrate every possible outcome of a decision. Each branch of the decision tree indicates a mutually exclusive option, and illustrates how one choice leads to the next decision or occurrence. Decision Trees provide a framework to quantify the values of outcomes and the probabilities of achieving them, and can save time, money and resources for companies and organizations. What if we could use Decision Trees in our personal lives, basing the start point on a single event, a person, or even a place. The possible outcomes from that start point would give us a glimpse into how the future might have looked for us. What if my mother did not marry my father? What if I had a terminal illness as a young child? What if I never went to school? What if I married the first guy I dated? What if I had a career? What if I had no kids? What if I was born in Syria? There can be infinite possibilities for each of our lives and a Decision Tree to map out a human life is so much more complex. The variables include our own actions, the actions of people around us, the state of the world , natural forces and destiny, chance and karma if you believe in it. In an unfathomable way, the universe comes together to help us create the stories that we are! In The Versions of Us, author Laura Barnett explores three versions of a single event. Nineteen year old Eva and Jim first meet when their paths cross at Cambridge, UK in 1958. Jim is walking along a lane when a woman approaching him on a bicycle swerves to avoid a dog. What happens next will determine the rest of their lives, and Laura takes us on different versions of them and their future. And to three conclusions, each dictated by their choices and life! It is to Laura’s credit that each version of Eva and Jim’s story is plausible and complete. Like me you might be tempted to pick a favorite, or mix and match the stories to come up with your own unique version of it. Either way, it is a deeply satisfying read. Laura Barnett is a UK based arts journalist and theatre critic. She writes regularly for The Guardian, The Observer, The Daily Telegraph and Time Out London. She is currently working on her next novel Greatest Hits. 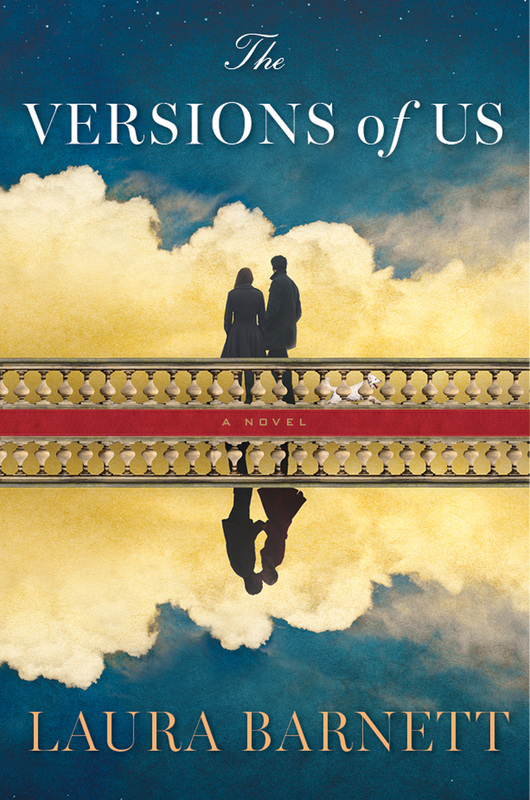 The Versions of Us releases in the US in May2016. Here Laura Barnett talks to us about The Versions of Us and more. tgbc: What was the inspiration for The Versions of Us? The idea for The Versions of Us came as an answer to that. The inspiration, looking back, was my own fascination with – to paraphrase Robert Frost – the many paths not taken. I’d got married about six months before starting the novel, so I’m sure that had an impact, too. tgbc: Would What If also have worked as a title for the book? LB: Yes! I actually tried out various titles before settling on this one. I wrote them on cue-cards, and stuck them to my office wall; each morning, before I started writing, I looked them over to see which one my eye was most drawn to. The Versions of Us won the contest. I like the fact that the title feeds into the many themes of “versions” in the novel: the various versions of the characters’ lives, of course; and the fact that both the characters – Eva is a writer, Jim an artist – themselves produce, through their art, “versions” of their various experiences, and their feelings for each other. tgbc: I enjoyed the three versions of Eva and Jim’s story. Which was your favorite and why? LB: Thank you. I’m so glad you enjoyed it – or them, I should say! Funnily enough, I really don’t have a favorite. When I started, I felt particularly drawn to version one – the story that, without giving too much away, follows the most obviously romantic narrative arc. That was probably because I was a newlywed myself and really wanted everything to work out between Eva and Jim… But as I wrote, I became fully invested in all three, and now, I really couldn’t choose between them. Like life, each of the stories has its ups and downs, its triumphs and mistakes. tgbc: Is there another version of their story you wish you had written? LB: I sometimes wonder whether it would have been interesting to include a fourth version in which Jim and Eva never meet. But I suspect that would have been frustrating for the reader – and for me – and I felt strongly, from the first, that three versions was the right number. Any fewer, and the project wouldn’t have felt challenging enough; any more, and it could have become far too confusing. 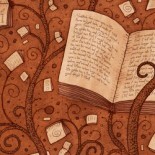 tgbc: When we write we learn so much about our own selves and our world. What were the insights you developed during the writing process? LB: We do indeed – you’re absolutely right. Writing the novel has definitely made me confront my belief in fate – or lack of belief in it, I should say. When I set out to write the first draft, I was absolutely sure that I didn’t believe in fate in the least – that our own choices define the course of our lives, rather than some unseen divine hand. But the process of writing made me wonder about the really important events in our lives – our first encounters with lovers and friends; our choice of university, career, home – and how much of it might remain the same, even if other aspects of our lives were to go differently. Now, I’m probably somewhere in the middle about fate – I definitely don’t believe in predestination, but the world seems too beautiful and ordered for me not to trust in some sort of governing pattern. tgbc: Is there a version of you that you wish had happened? Or not? LB: Ha! What an interesting question. Well, I don’t believe too much in regret, because every experience we have, whether negative or positive, helps shape us as people. Part of me wishes I’d asked myself those hard questions about writing sooner – I’d known I wanted to write novels since I was about five years old (I was an extremely bookish child! ), but it took me a long time to figure out how to do it, and what I wanted to say. But then, I think I needed to go through that experience of failure and disappointment – writing two full novels, and having to set them aside – in order to hone my skills and focus my determination. When you refuse to stop writing even in the face of rejection, you realise it’s just something you just have to keep doing, whatever happens. tgbc: From being a journalist to becoming a full time writer. What are the different skill sets required for each of these? LB: The key difference, of course, is that with fiction I’m allowed to make things up! Some cynics would say, of course, that journalists do that all the time, but that’s certainly never been my experience – or that of any of the journalists I know, who take their work extremely seriously. It has taken me quite a long time to accept that as a fiction writer, I’m allowed to take the sort of liberties with reality that I never, ever took as a journalist. But I’m still obsessive about research and fact-checking – as any realist author has to be. tgbc: Where do you derive inspiration for your stories from? LB: So many places! Conversations I overhear in the street; newspaper articles; TV, plays, other novels, films, paintings, songs. My husband and I love trawling antiques shops and flea markets – we’re lucky, as we have quite a few near our home in South London – and I’m always looking for vintage photographs of intriguing people and places. We were at a market in Berlin recently, and I found a set of six photographs of the same interior of a flat, taken in 1960 – just a tiny, ordinary bedsit, but every book and object carefully chosen and put together. It’s moments like this – borne from everyday life, in all its richness and eccentricity – that inspire me. tgbc: Who are your mentor authors? Any book you wish you had written? LB: Again, there are so many. Most of the writers I love most are American, actually – there’s a wonderful realist strain in US literature that I adore, and my husband and I travel to the US as often as we can, so I love reading about places we’ve visited, or would like to visit. My number-one mentor author is Anne Tyler – I am so full of admiration for how she manages to excavate the strangeness and poignancy that underpin ordinary lives. But I also adore Alice Munro, John Irving, Richard Yates, Joyce Carol Oates and Elizabeth Strout, among others. And if I could have written any novel, it would probably be Yates’s Revolutionary Road. I’ve never read any novel that more powerfully and unflinchingly examines love, and marriage, as they are actually experienced, in all their brutality and beauty. tgbc: A quote that defines you, or your work. LB: “Only when she wrote was she unafraid.” That’s from John Irving’s wonderful novel A Widow for One Year, which I read for the first time last year. Like the main character in the book, a novelist, I am far braver and more assured on the page than I am on real life. tgbc: A comfort food or comfort drink! This entry was posted on April 22, 2016 by Preeti Singh in Interview, Interviews and tagged Laura Barnett, The Versions of Us.